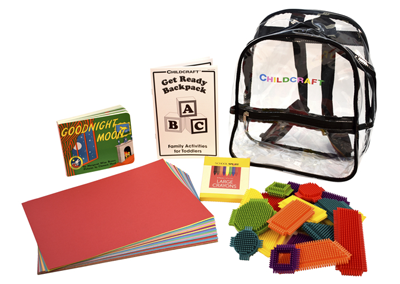 Childcraft "Get Ready" Backpacks are packed with quality materials and activities designed to make learning fun and build a connection between home and school. 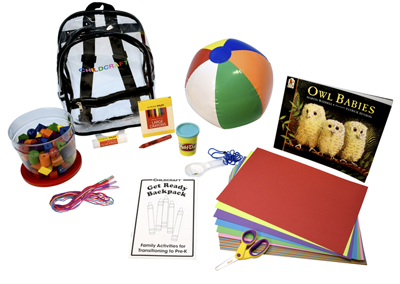 The easy-to-read guide is filled with ideas that support early learning standards and involve parents as partners in their child's success! 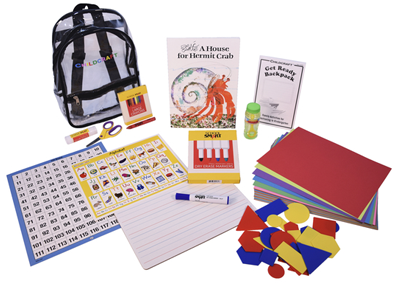 Choose from English or Spanish versions for toddler, preschool, and kindergarten students and help a child prepare for the year ahead. Dry Erase Markers, 8 ct.